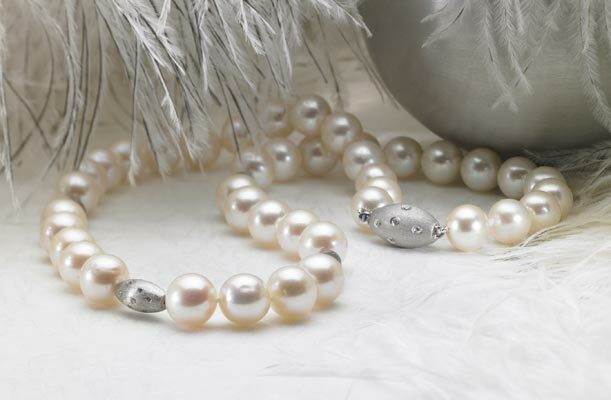 This necklace is a supplement for the classic pearl necklace. What makes this unique is the hand made diamond spherical 18kwg diamond enhancers. The entire sphere is sprinkled with diamonds always catching the light. 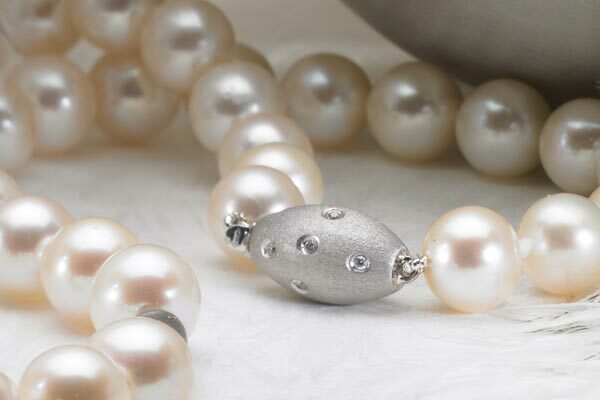 The brushed finish on the spheres contrast with the high luster of the white fresh water pearls. 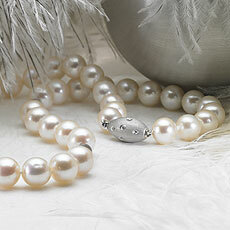 The clasp is also a sphere so that if it happens to turn to the front it will not look out of place.